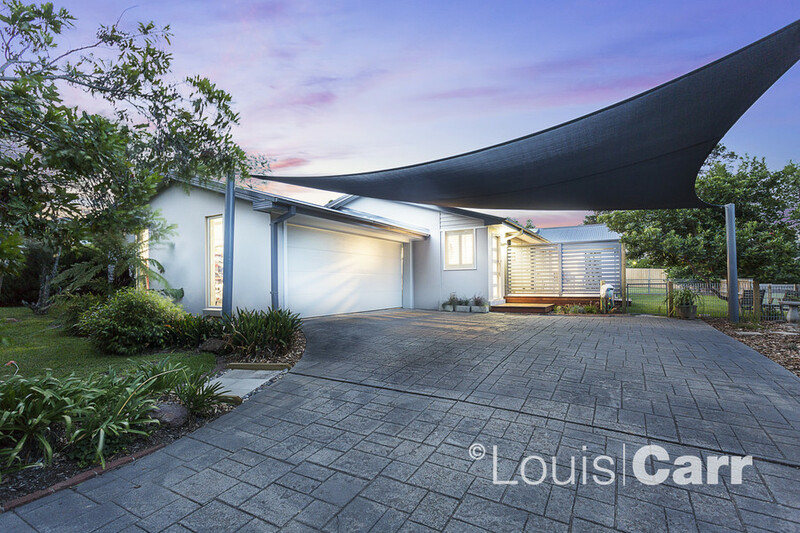 A stand-out sensation in lifestyle excellence, this single level home has undergone a striking transformation, having left nothing undone in its quest to create a brand new home, and with an attention to detail second to none! Backdropped by panoramic vistas afforded by its reserve side setting, its clever design caters for everyone's personal space requirements and a stress-free environment for care-free living. 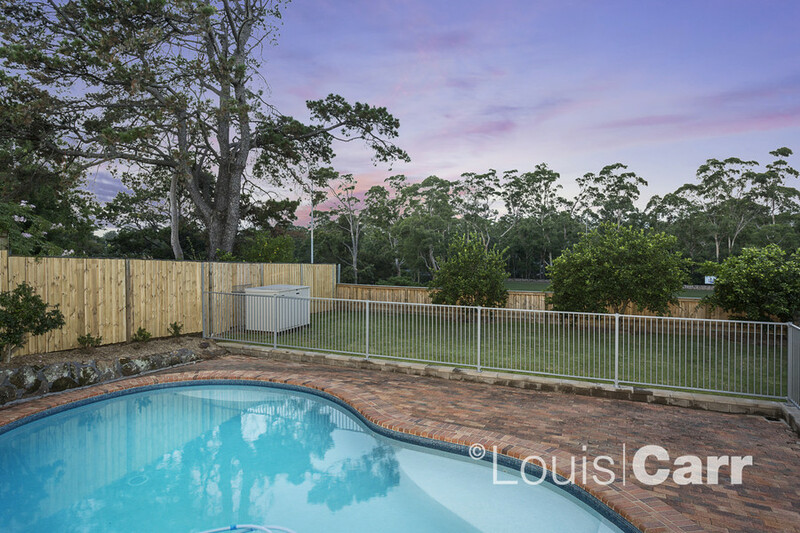 Sited on a breezy elevated 822sqm (approx) parcel, the remarkable combination of space, openness and privacy is a rare commodity in such close proximity to M2 city buses, West Pennant Hills Sports Club, access to Pennant Hills Shops, Thompson Corner Shopping Precinct & train station. 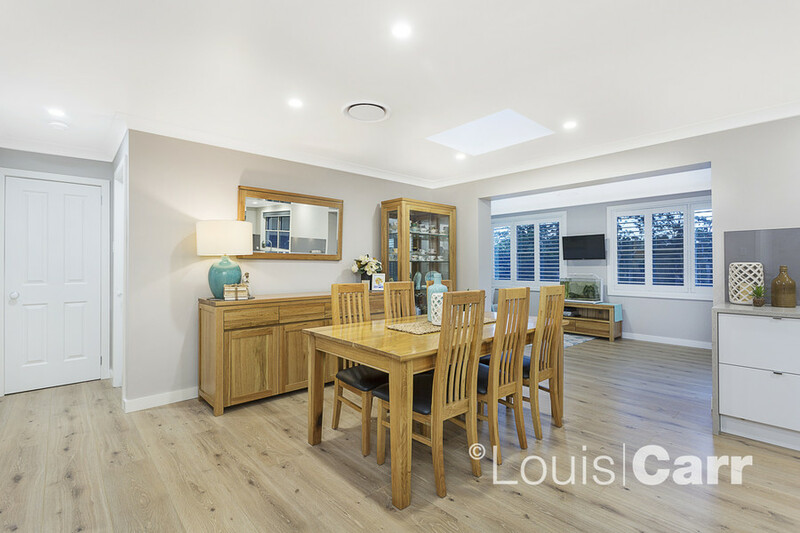 Enjoy the lifestyle that is synonymous with this sought-after location, zoned for both Pennant Hills High and Cherrybrook Public Schools. 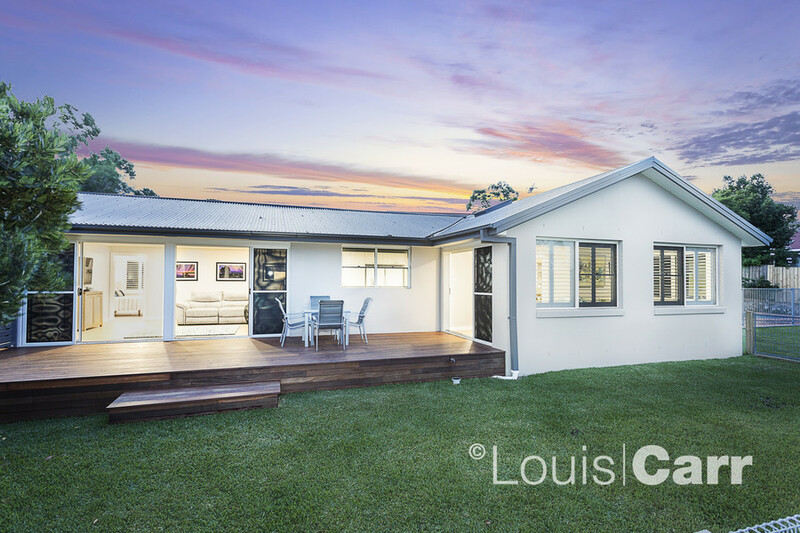 * Utilising glass, timber and luxury finishes to spectacular effect while acknowledging the desire for low- maintenance living, this sleek beauty is cutting-edge, inviting and easy to live in making it equally appealing as a permanent family home or luxury downsizer. 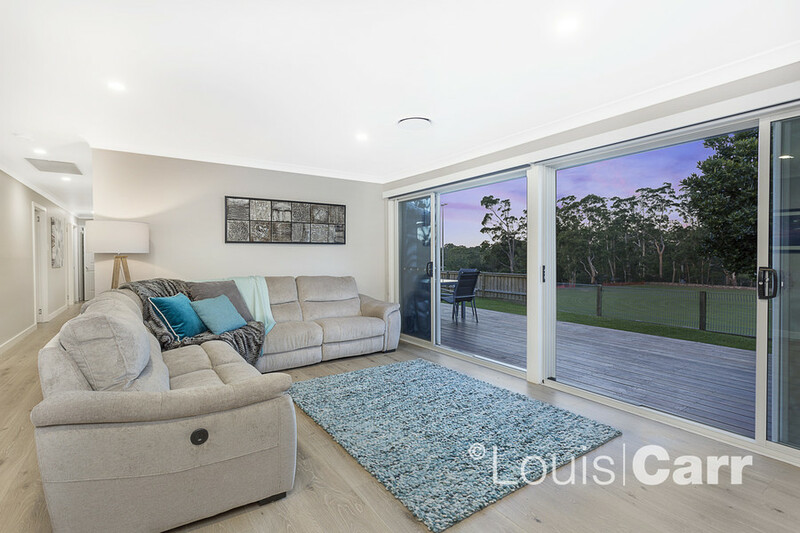 Designer finishes from Merbau timber decking to Caesarstone surfaces, Italian floor-to ceiling tiles plus full height windows and doors provide a beautiful backdrop to the carefully planned accommodation. 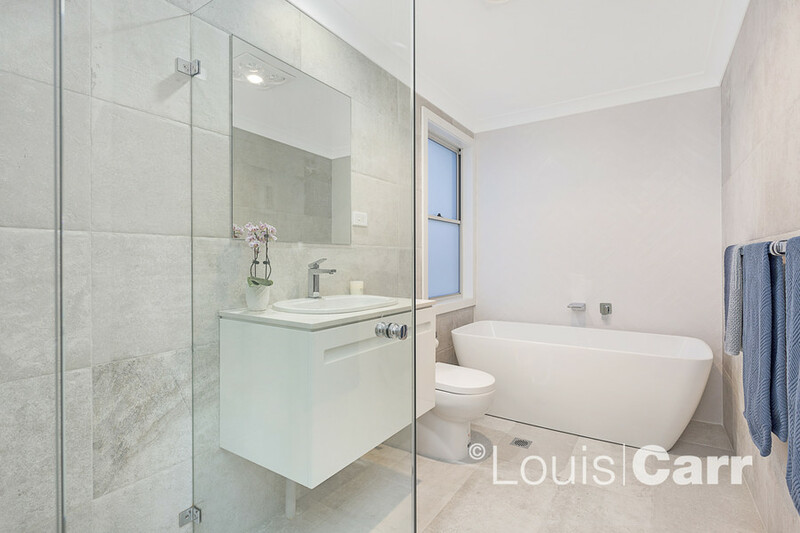 * Wake up every day to magnificent views from the privately situated main bedroom with fitted walk-in robe and deluxe ensuite with twin vanities/showers plus extra deep freestanding tub. Three other bedrooms with mirrored built-in wardrobes are serviced by a matching main bathroom with underfloor heating. * The kitchen is both a place of beauty and a culinary powerhouse. 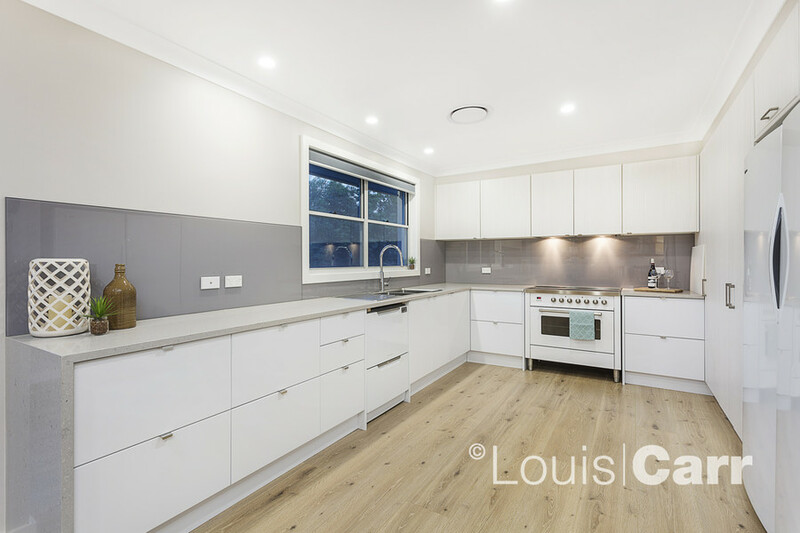 Vast Caesarstone benchtops surround an urban inspired design that features tinted glass splash-back, premium ILVE appliances, triple pantry, with soft close drawers and cupboards. In keeping with the rest of the home, it enjoys the same lovely indoor- outdoor aspect alongside everyday living areas. * A host of extras include a double automatic garage with additional covered parking for two extra vehicles, large laundry with stone bench tops, custom new down lights, block out blinds, plantation shutters throughout and ducted heating and cooling, and much more.